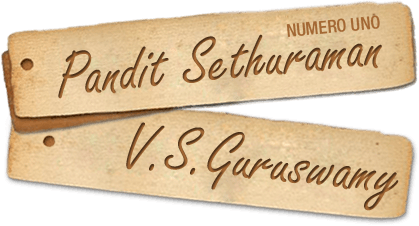 Pandit Sethuraman was the only person in the world to give elaborate details of Number 8 in his monumental work “Science of Fortune” and suggested ways how one can protect himself from the negative vibes of Number 8 and lead a happy life. “Science of Fortune” is a must-read book for anyone born on the 8,17, and 26th of any month to reshape their lives. ​Have you noticed that from the dawn of the new millenium the Number 8 (either as the Birth Number or as the Destiny Number or as the Name Number), has repeated its onslaught on various countries, more especially. Asia? In Mundane Numerology. Number 8 is considered more ominous and harmful than before, particularly in the new millenium. With many other parameters taken into account, the cruel stroke of Destiny playing through Number 8 has been already foreseen by the author. Refer to the ominous dates of 8 and disasters repeatedly ensued as listed here. This is a little strange …. Just amazing to note that many of the earthquakes that appeared all over the world in the recent past were all on the date 26. The following natural disasters and tragedy that followed proves the negative power of date 26 beyond any doubt. ​The ill-effects of Number 8 may be proved with respect to individuals and also Nations, though in some parts of the world Number 8 is considered lucky, and is used extensively in a variety of ways. After a thorough study and research we are of the opinion that Number 8 has always proved to be of a negative nature. Those who think that it is a lucky number and use it in all their endeavours do not benefit in the long run, because 8 is equated with Maya or illusion. As such, those who use it in their everyday life do not get even 50% of the actual benefit or success they deserve. This fact is evident from the fatal events or retarded success in the history of such Nations as compared to others who exploit their luckiest numbers and excel the followers of Number 8’s “positive aspect theory”. Just compare those who fanatically consider Number 8 positive and others who exercise caution when they come across Number 8, You’ll learn that in actual practice Number 8 had never been so lucky as it is thought of ! If you approach the subject with an open mind, you’ll be surprised to know that decades or centuries had been wasted by certain individuals or countries in achieving progress, just because Number 8 had been interwoven inseparably with their lives. ​Why sacrifice repeatedly and why suffer when there is no need to? I only plead to you to have a re-look. That’s all ! ​The fatalistic tendency of Number 8 when applied to certain important aspects of human life is not only interesting but also intriguing. “SCIENCE OF FORTUNE” hints at the divinity of Number 8 and also its debility with respect to events in the lives of people and places. Luck is not a far cry; success is not elusive to all those born on the dates of Number 8 or living in houses marked 8 or places whose Name Numbers total to an 8. But the fatalistic vibrations are so strong that Number 8 makes these people toil, struggle or suffer more than those related to other numbers to achieve their goals. In the bargain, happiness which is the ultimate aim of all endeavours gets diluted. Now, tell me – is Number 8 a lucky one…? If you say “Yes”, you must be a saint of the highest order or a robot! ​An interesting analysis of residences with door number 8 (or its series) and the lives of those who lived there was made. Owners or tenants who lived in those houses confessed that there was an unforeseen slump in their business after moving into them. At least domestic happiness was badly affected. When they changed their residence to houses marked other than 8 and were suggested suitable remedies by Numerology all the problems were solved. What more, the residents progressed in leaps and bounds! A glaring example of the ominous nature of Number 8 can be cited from the life of Pandit Sethuraman himself. He had a dairy farm about four decades ago. It was started on a 26th date with destiny number 8. It sheltered 152 cows and the door number of the farm was 8. The farm was considered the biggest in the district and was a well maintained one. Though all was well in the beginning, in the eighth month after its inception, the animals were infected with Linder pest and died one after another leaving behind only 50 of them. Panditji hurriedly sold away the farm together with the remaining animals. In fact, he deliberately took the risk of opening his business in a place marked Number 8 just to experiment the onslaught of Number 8 and its role in the conflict between Fate and Freewill. It was a costly experiment and Panditji was chastised by his spiritual guru not to try such things again! ​If some people still claim that they are successful despite using Number 8, well, I am only to say in the light of my research and experience that they are blasting a mountain to trap a mouse! The greatest American oil magnate and billionaire John Davison Rockefeller born on 8th suffered untold miseries in his early life spending all his time, energy and resources to achieve success. That he was destined to succeed was evidently known later from certain astrological and numerological factors, but “8” did play a role in his life. Incidentally, every one of us would remember that this great son of America was a great philanthropist who gave away much of his wealth for charitable purposes and fruits of his hard work and enterprising spirit are rather enjoyed by others even today. Numerologically speaking, he was a “positive” personality under Number 8. ​PLEASE REMEMBER THAT MY CONCLUSION RELATES ONLY TO THE WORLDLY STANDPOINT OF LIFE, BECAUSE NUMBER 8 IS IDEALLY SUITED FOR SPIRITUAL SUCCESS! ​I learn that some of our Chinese brethren strongly believe that Number 8 is a luck-bringer. I can only say that you could be more lucky by using any other lucky number suggested in the book, “SCIENCE OF FORTUNE” as applicable to your case. In such a case, you would soon realize that you could achieve greater success by putting in less efforts, less time and less money, And this phenomenon only is called LUCK! If you ignore this time-tested fact, Number 8 may seal your fate in tact! ​You deserve a windfall and “SCIENCE OF FORTUNE” helps you avoid a downfall!! “SCIENCE OF FORTUNE” not only helps you in divining success but also in deliverance from dangers. EIGHT IS MIGHTY! NEVER TAKE IT LIGHTLY! Never worry abt calling name.